Enjoy the top 46 famous quotes, sayings and quotations by Heather Wolf. There is no such thing as tough love. Love is kind, love is compassionate, love is tender. If you haven't walked in someone else's shoes, it's difficult to know the fit, so be kind and compassionate. Kindness is like a warm ray of sunlight, reaching out, touching and healing the hurting soul. We can learn a lesson from the butterfly beginning it's life crawling along the ground, then spinning a cocoon, patiently waiting until the day it will fly. Music transcends the boundaries of language. My heart longs for the day when there will be no more suffering, no more hatred or violence, only love and a child will be able to grow up in a world without ever having to know the pain and anguish of an empty belly. In this world we must try to be kind to one another. What did the seahorse say when the sand dollar landed on his back in the rip current? What did the little firefly say to his friends when they played hide-and-seek? 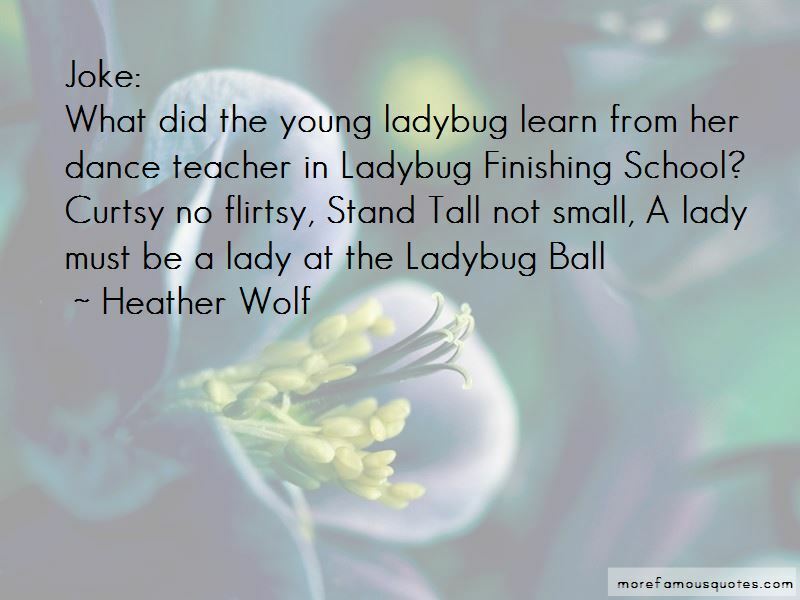 What did the young ladybug learn from her dance teacher in Ladybug Finishing School? Please leave my computer alone.. The only cookies I want to get are the ones I can eat. Smiles, kindness, hugs & love are all free to give, but priceless to recieve. Be loving and kind all the time. What was the octopus's favorite game at the beach BBQ? 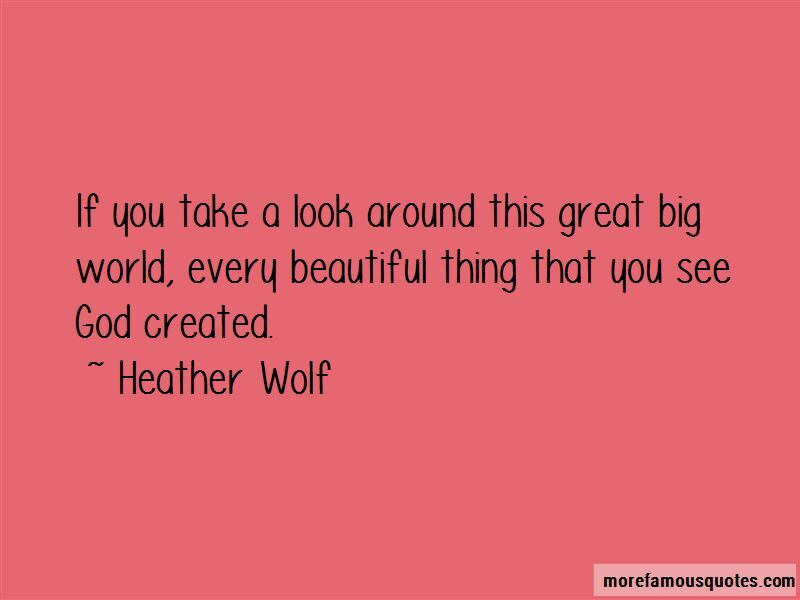 Want to see more pictures of Heather Wolf quotes? 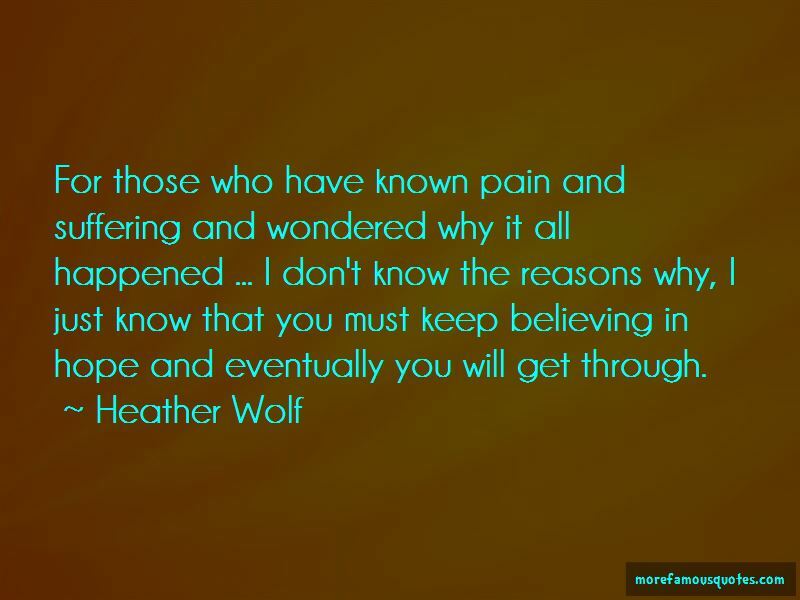 Click on image of Heather Wolf quotes to view full size.